Losing someone special is a devastating experience that can strike at any time. 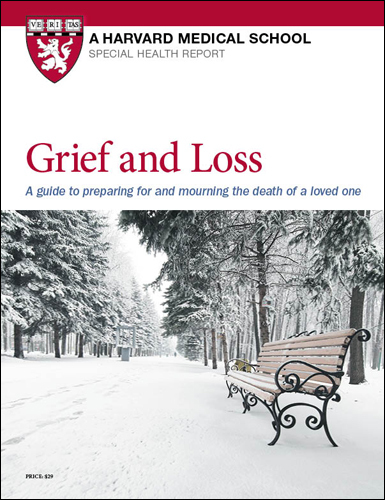 To help you cope with loss and navigate these difficult times, the experts at Harvard Medical School created Grief and Loss — a special report filled with expert advice and comforting tips. When you have three minutes. 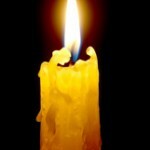 Dealing with grief and loss is extremely stressful. During this time it may help to take mini-relaxation breaks. If you have three minutes, try this: While seated, take a break to check your body for tension. Relax your facial muscles and allow your jaw to fall open slightly. Let your shoulders drop. Let your arms fall to your sides. Allow your hands to loosen so that there are spaces between your fingers. Uncross your legs or ankles. Feel your thighs sink into your chair, letting your legs fall comfortably apart. Feel your shins and calves become heavier and your feet grow roots into the floor. Now breathe in slowly. Breathe out slowly. Each time you exhale, try to relax even more. For more ways to relax, order now. Included in this report is Life stages and losses, which walks you through how the grieving process affects people differently depending on age. You’ll learn how older people may actually have a less intense response to upsetting events, how connecting with others who have experienced a loss can help you heal, and specific ways to help cope with the loss of a child, spouse or parent.